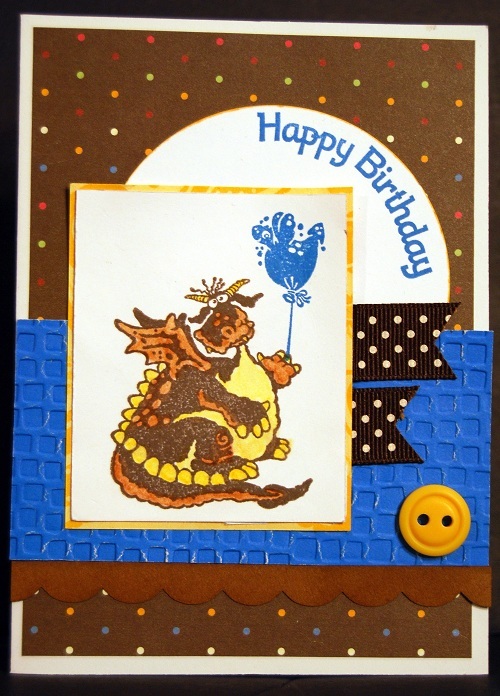 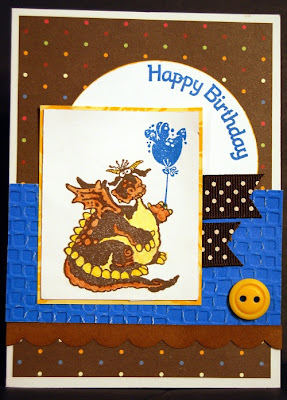 When I saw the dragon birthday stamp set called Birthday Blast in the new Idea Book I fell in love - these little guys are just SOOO cute and perfect for making boy cards. 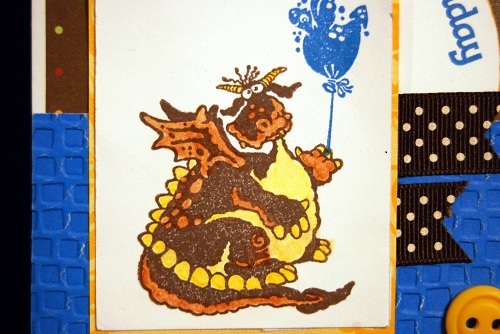 Here's a close up of the dragon - he was stamped in cocoa ink and then I came in with both Brown Bag and Sunflower watercolor pencils to color in the rest of his image and give him more character. Here's a picture with the stamp set so you can see the three dragons and the great castle that comes with the set. 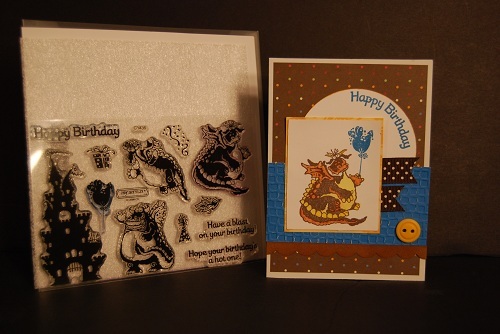 I thought the sayings were perfect to blend with some of my older space ship stamps as well - love it when a set does double duty!